If there is any doubt who is Thailand’s single biggest competitor for the Mainland Chinese leisure market, clearly its nearby Vietnam. Looking at the massive rise in hotel development, themed attractions, casinos, resort residential and infrastructure in locations like Danang, Phu Quoc and Nha Trang/Cam Ranh, the scale of the growing footprint is staggering. 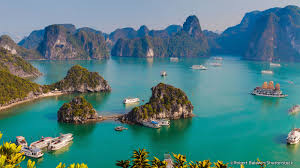 One area that has some similar characteristics to Thailand’s famed karst-laden destination Phang Nga Bay is Vietnam’s Halong Bay. Getting there from the gateway of Hanoi has traditionally been a road trip of three to four hours but a new airport has just opened that is a game changer. The new Van Don International Airport which is just an hour’s drive, has been developed by the Sun Group and there is also a new highway link to the UNESCO World Heritage area. Another key addition to the area is a cruise ship terminal in Halong that can handle nearly 8,500 passengers at a time. Leading creative guru Bill Bensley designed the facility. While Vietnam last year had around 15.5 million visitors, the build-up over the past four years has seen the number nearly double. 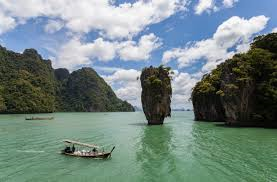 One fact for Thailand’s resort destinations in 2019 is the growing competition from nearby amped-up Vietnam is a reality.